Dig out that stash of paper and the pile of cardboard from the crafting cupboard and have some fun with your kids using these simple ideas! 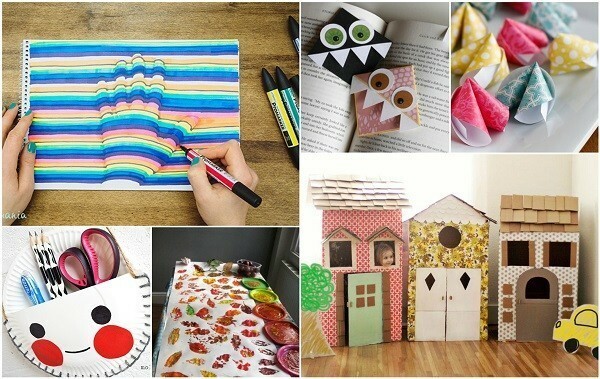 It’s unbelievable how versatile paper can be but you can create everything from play houses, to decorative room garlands and beads for threading or homemade bracelets! 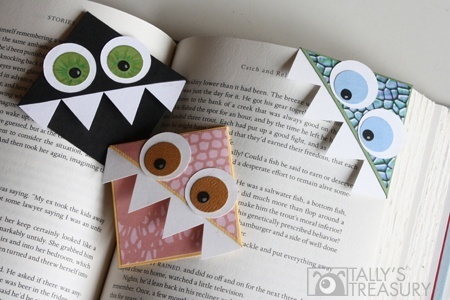 Not only will these fun page corner bookmarks encourage your kiddies to read more but they’ll also make sure that they don’t lose their page. The friendly monster characters are simple to make and your little ones can have fun customizing them with sharp teeth and googly eyes! Making paper beads is a great way to recycle any junk mail, newspapers, or magazines that you might have laying around. We don’t know what children will find more appealing, making them or playing with them once they’re finished! Simple, charming and oh-so cute, this paper plate tidy will give your child’s desk an adorable makeover. They can pop all of their essential stationary in it ready for them to complete their homework after school. More often than not you’ll probably use smaller bits of paper for crafting with your kids but what about experimenting with a big roll of paper? It can open up a whole new world of creative projects and enables children to be bold and fill the whole page. The simple things in life are always the best so why spend a tonne of money on an expensive store-bought play house when you can make your own at home out of a cardboard box! Katie, over at abeautifulmess.com, have created three different houses and each is as cute as the last…why not make all three and give your kids a whole mini village to play with! You could even add a castle for your princes and princesses like this one over at cornerstoneconfessions.com. 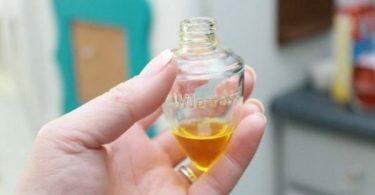 For those of you who may not be familiar with this art technique, ‘suminagashi’ is a Japanese term for floating ink. It’s a brilliant craft to do with kids because they’ll be completely mesmerized by the process – starting with a plain piece of paper, popping it on top of some water and transforming it into something vibrant and colorful. A few paper napkins and some colored crayons are all you need to make a whole menagerie of animal finger puppets. You can make them ahead of time and use them to keep the kids entertained at the dinner table. We couldn’t have a collection of paper and card crafts without featuring a toilet paper roll somewhere! This DIY ring toss game will only take moments to make but it will keep the kids amused for hours! If you’re having trouble teaching your child to tell the time then we’ve got the perfect solution for you! 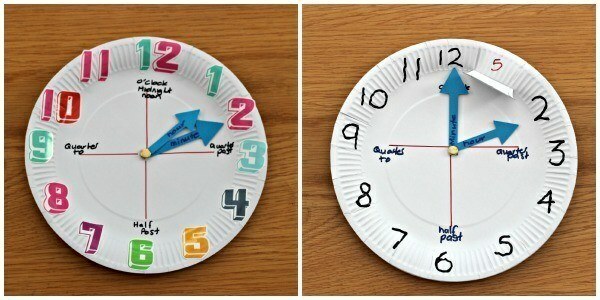 A homemade paper plate clock will allow them to learn in an interactive way as they can move the hour and minute hands themselves. These whimsical bird cage lanterns will add a fantastic decorative accent to any kids room. 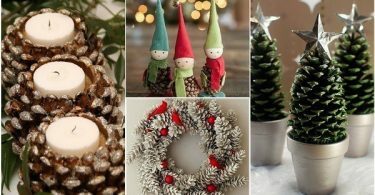 You could make a whole array of them and hang them up as a garland or create a mobile in the corner…either way is stunning! Encourage your kids’ musical abilities with this simple banjo made from paper plates and a few well-tuned rubber bands! After you’ve enjoyed a family crafting session you can listen to the sweet tunes that the homemade instrument produces! A DIY paper dinosaur hat that you can make from a couple of sheets of paper? Sounds like something that children everywhere would love! Check out the full tutorial over at cuttingtinybites.com and add it to their dress-up box today. This amazing 3D handprint optical illusion will leave your little ones feeling flabbergasted! 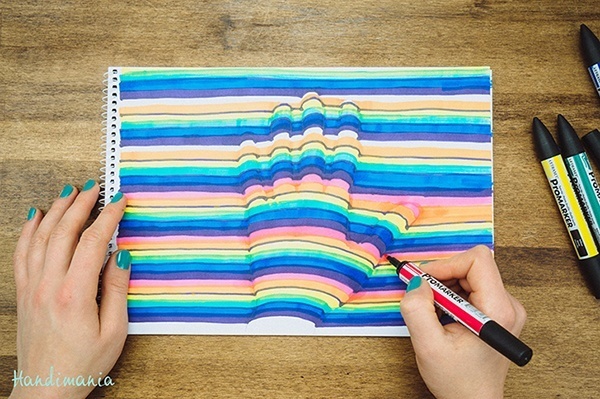 All they’ll need to do is trace around their hand and then add some cleverly placed colored lines on top to create an instant three dimensional effect. If paper mache is involved in a craft you can be sure that it will get a bit messy but that shouldn’t put you off making this igloo! Plus you wont need any snow in order to do it! Get your kids to design a special homemade pop-up card for a loved one this year for a personal touch that will warm any heart. 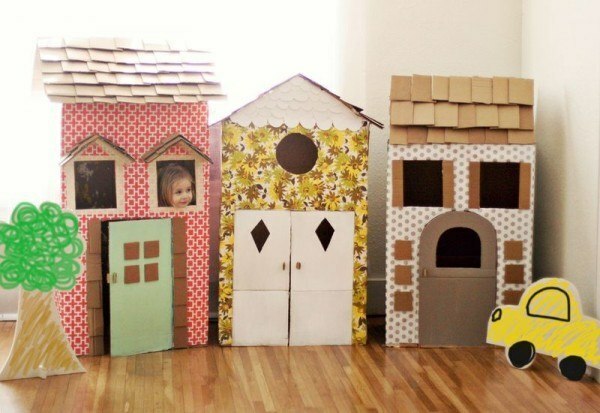 If you’ve got an old cereal box or two then you’ve already got everything you need to create a cardboard city for your children to play with. They can drive their toy cars between the houses or use it as a setting for their dolls! These easy paper fortune cookies are fun for kids and adults alike! Once you discover how quick and simple they are, you’ll want to make them for every occasion…Birthdays, Valentines Day, Anniversaries – you get the idea! 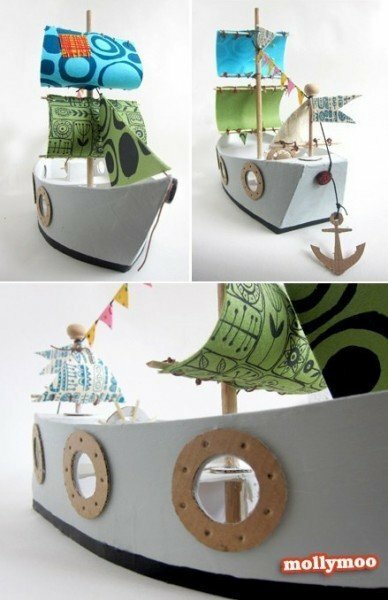 Perfect entertainment for rainy days, this DIY pirate ship is something we wish we had when we were younger! Paper pinwheels probably take the prize for the easiest craft ever! If you’ve never made them before then this tutorial will guide you through the whole process with step-by-step photo’s. You could probably even let the kids have a go on their own, just be on hand to supervise! A zoo, a farm, a jungle…you and your little ones can create your own with these paint chip animal friends. We’ve seen a whole heap of brilliant paper crafts but did you know that you can actually make your own paper? With a little bit of patience and some preparation, you can soon whip together your own crafting material. If that wasn’t enough, this particular DIY has seeds embedded into the pulp so you can gift it to friends for them to plant!